My first favourite is Laura Mercier's Foundation Primer. I received this sample size in September from Latest in Beauty's Glamour Beauty Power List Box and as I mention in the original post I was trying to ration the product as I loved it so much. Well, rationing turned into completely abandoning the product and forgetting all about it! Thankfully I rediscovered this at the very end of June when the heat was too much for my primer-less face. Laura Mercier's Foundation Primer is a wonderful product. It leaves my skin feeling silky and smooth, my pores look smaller and it feels lovely and light on the skin. Whether I'm about to spend a day in the sun, face a long shift at work or head out for a special evening I have to use this before my foundation or my face turns into a hot mess. When my sample runs out I'm definitely going to be investing in the full sized product, which does retail for a hefty £29, but I'm hooked and you only use such a small amount each time so it's completely worth it! 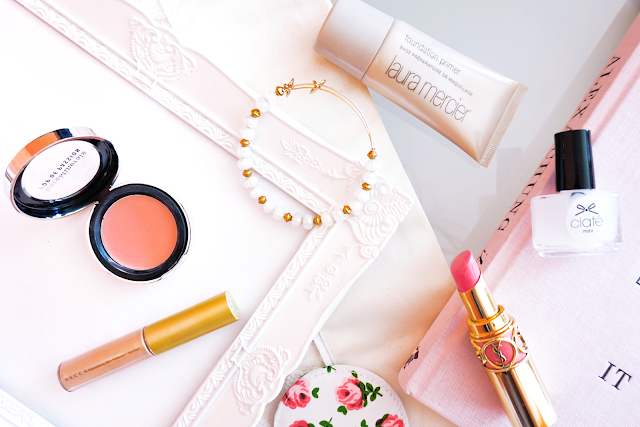 One of the only new products to feature in this month's favourites is the bareMinerals Blush Balm in Posy Passion*. I've already raved about this in my previous post, The Cream Blush Crush, and I'm completely smitten with the product. 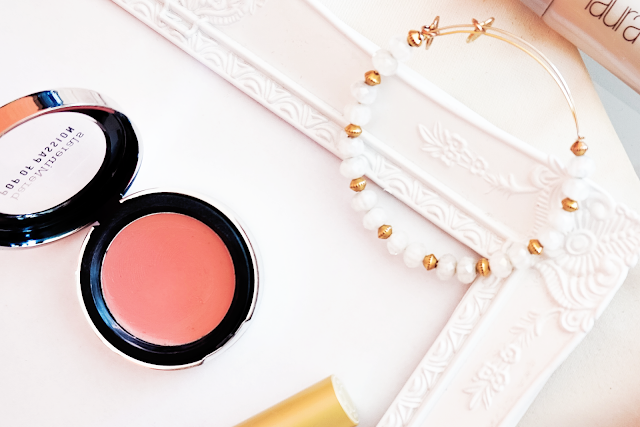 It's a beautiful blush and it leaves a gorgeous glow to the cheeks. As I've already stated this has to be my favourite cream blush that I've ever used but sadly it's a limited edition product from their Pop of Passion Collection. So, if you were wanting to try it make sure you pick one up soon! And I adore the Blush Balm even more when I pair it with my next favourite, the gorgeous Shimmering Skin Perfector in Opal from Becca Cosmetics. The product pictured above is from Becca's Spotlight Kit, a wonderful Christmas present from the lovely Julie-Ann from Our Dreams of Fashion, and the kit contains 3 miniatures of Opal, Pearl and Champagne. I actually adore all 3 shades and switch between the three depending on what kind of look I'm going for. I'm sure you've all heard how incredible Becca Cosmetics are when it comes to highlighting products and these are no exception! My skin looks so radiant when I wear this and it glides on the skin like a dream. I never ever want to run out of this! For nails I've really been enjoying playing with this Ciate Matte Topcoat which was a freebie in July's Marie Claire. I never imagined that I'd be a fan of the matte nail trend but I suppose I'm finally warming to the idea! I can't wait to test this out with darker, more autumnal polishes when September hits. To be honest with you've I've discovered so many lip products at the end of July I could probably dedicate an entire post to my lip favourites! One shade I've been reaching for a lot lately has been this YSL Rouge Volupte lipstick in 29 Rose Opera. I've had this for a year or so now and it's an incredible bright pink shade that I only feel confident wearing during the summer. The shade is similar to Mac's Chatterbox and it looks amazing with a tan! 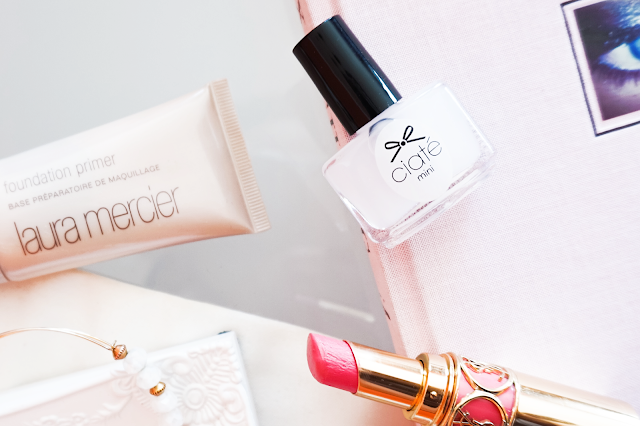 The lipstick has a wonderful creamy formula which makes it such a pleasure to wear and it has to be one of the most moisturising lipsticks I own. My final favourite is actually getting an entire post dedicated to it later this week so I won't ramble on too much in this post. My Alex and Ani bracelet from the Road to Romance collection hasn't left my wrist since I bought it and it adds a little bit of sparkle and glamour to the more relaxed, boho outfits I've been wearing lately. Oh, and I've also been loving Selena Gomez's new song Good for You... I'm not sure whether I should be ashamed of that or not! I just can't stop listening to it! What have been your beauty favourites throughout the month of July?